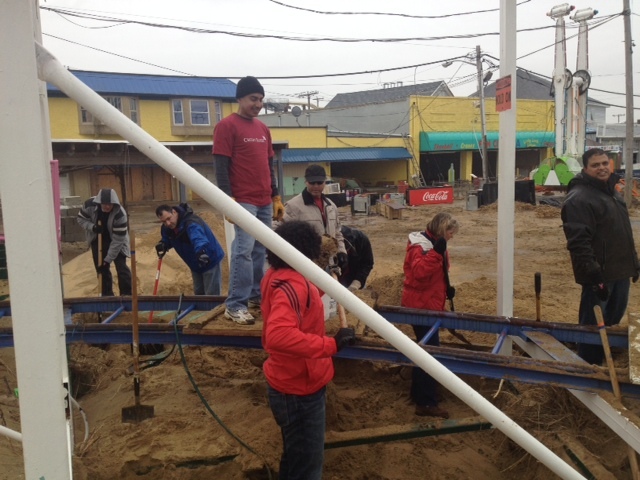 It’s been a roller coaster of a ride after Superstorm Sandy, but these Credit Suisse Volunteers are keeping this boardwalk on track to be open for the summer! Keep up the great work! To get involved in Sandy Relief projects, click here and type “disaster” into the keyword box.